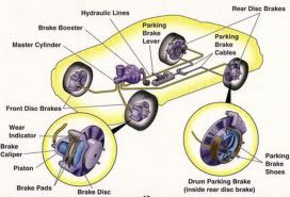 Here are some warning signs that brakes need to be serviced as well as precautions when getting your brakes repaired. 2) Brake light is on dash, this usually means the fluid in the master cylinder reservoir is low which indicates how much your brakes are worn. 4) Abs or trac light is on, can mean a number of different things must be checked and diagnosed with a scanner only. 7) Vehicle pulls either left or right when braking, this may be caused by a sticking caliper and or grease or oil contamination. 8) Brakes lock up, typically caused by a sticking grabbing caliper and or oil or grease contamination on the pads or shoes. 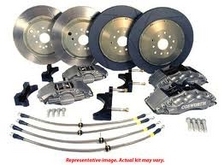 9) Keeping your brakes operating the way the manufacturer intended requires having them inspected periodically to ensure trouble-free operation, some components are prone to wear more than others these components are exposed to excessive heat during braking as well as weather conditions. These systems require frequent inspection adjustment and lubrication to ensure proper operation. 10) Finally don’t cut costs with brakes doing so may cost you hundreds if not thousands in unnecessary repairs? 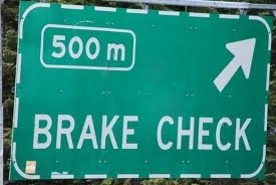 One example of this is having your brake pads replaced with cheap inferior type. Some brake pads may have material so hard that they produce excessive noises and because they are so hard they end up destroying the brake rotor to a point that they must be replaced costing hundreds of extra dollars in repairs. As you can see there is much more to a brake inspection than just pulling the wheels and looking at brake pad or brake shoe percentage. It takes a competent experienced person to inspect today’s high tech brake systems they understand how all the systems parts affect one another. They take the time to inspect the entire brake system to ensure its operating like the manufacturer intend. This is what you can expect from us each and every brake inspection. .